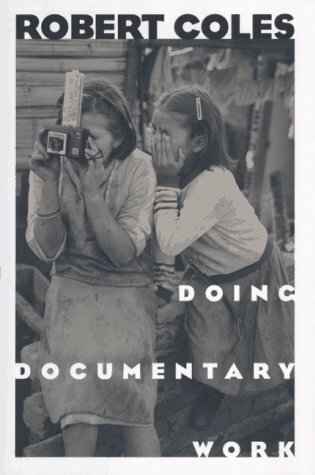 This book of finely crafted, thoughtful essays fleshes out Coles' understanding of documentary work as a collaboration between observer and the "reality" observed. He explores the work of Walker Evans, James Agee, George Orwell, and others in everal extremely readable pieces. "The great acheivement of Dr. Coles' method--a method that can only be called open, self-critical listening--is that it allows us access to thoughts and perceptions that touch us in the way great religious art does." --The New York Times Book Review. Robert Coles, a child psychiatrist whose series of books on children won him a Pulitzer Prize, has turned his watchful eye to the nature of the documentary and produced a thought-provoking book. In somewhat the manner of James Faris's recent study, Navajo and Photography, Coles reveals how documentarians like Dorothea Lange and Walker Evans edited and cropped their images to produce a desired effect, and raises the question of authenticity versus manipulation. Lange, the subject of a previous biographical study by Coles, comes under close scrutiny as he contrasts her iconic image of a migrant mother with obscure photographs shot moments earlier. The author also recalls James Agee's self-critical appraisal of his and Evans's "insensitivity" and "arrogance" in pursuing an editorial assignment.